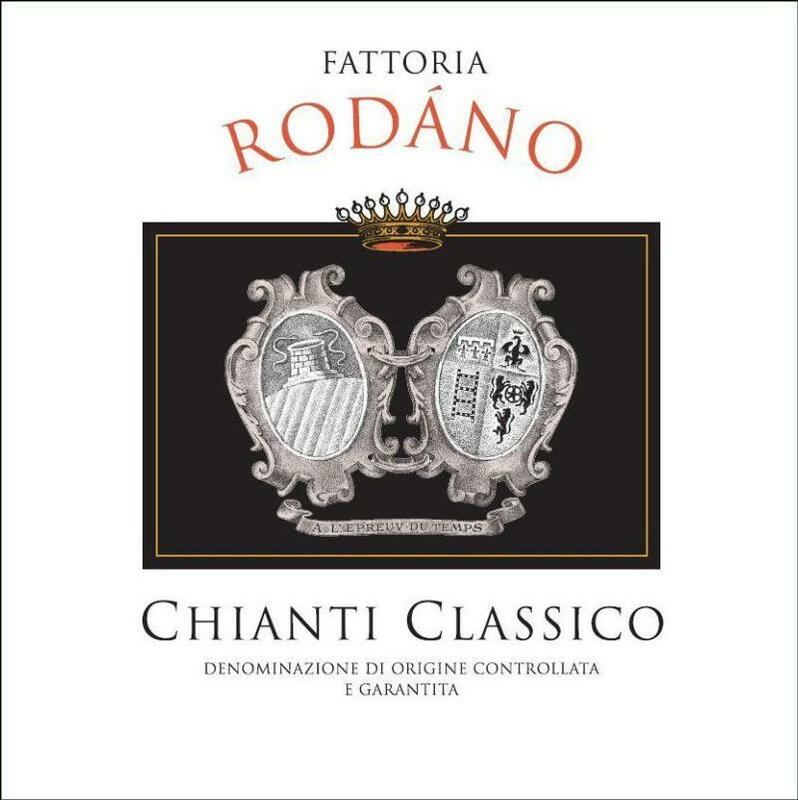 "Fattoria di Rodáno is a top source for classically made, user-friendly and complex Chianti. Located in Castellina in the heart of the Chianti Classico district, the estate dates back as a wine-producing property to the sixteenth century. Rodáno has belonged to the Pozzesi family since that time. Vittorio Pozzesi had been in charge of the estate since they first began to bottle wine on their own in 1967 but now his son, Enrico, handles the management of the winery. The domaine's former winemaker was Guilio Gambelli, who passed away in 2012. Gambelli was one of the most legendary winemakers in Chianti, consulting for such estates as Montevertine and Gianfranco Soldera. Rodáno is quite a large estate, with more than a hundred hectares under vine, and is one of the best-kept secrets in all of Tuscany. The style of the Rodáno Chianti bottlings is quite traditional, with Sangiovese playing a dominant role in all of the estate's various bottlings. The Chianti Classico "normale" is aged entirely in large Slovenian "botte," and the Riserva is a combination of these large casks and used barriques. Like all great traditional Sangiovese-based wines, the Rodáno wines offer up lovely, bright acidity that adds freshness and focus on the palate, and makes them outstanding partners at the table. The heart and soul of their vineyard holdings is the beautifully situated vineyard of Viacosta, which is a perfect, south-facing bowl of old vines, that average between thirty-five and forty-five years of age. In top vintages, the Rodáno Riserva Chianti bottling is made from the Viacosta vineyard. In addition to Sangiovese, the Viacosta vineyard also has a small parcel of Cabernet Sauvignon planted here, which is used in the estate's IGT bottling, called Monna Claudia. The Monna Claudia is a Super Tuscan blend of fifty percent Sangiovese and fifty percent Cabernet Sauvignon, and is aged in small oak barrels, sixty percent of which are new wood. Besides their "normale" and Riserva bottlings of Chianti, and their Super Tuscan Monna Claudia, Fattoria di Rodáno also produces a superb, value-oriented bottling called Poggialupi, which is made from ninety percent Sangiovese and ten percent Merlot. The Poggialupi is made for immediate access, with no rough edges and impressive brightness and succulence." Wine Advocate 93+ "This is a spectacular effort with a full and generous approach. The 2013 Chianti Classico Vigna Viacosta drinks beautifully, imparting elegant fruit and savory notes of tobacco and spice along the way. Candied cherry, moist earth and balsam herb add more dimension at the back. Wine Spectator 91"Fresh and aromatic, delivering black cherry, blackberry and spice flavors, allied to a juicy texture. Balanced, this echoes fruit and spice details on the aftertaste."